Writer's Corner: Who Is Chris Brennan? 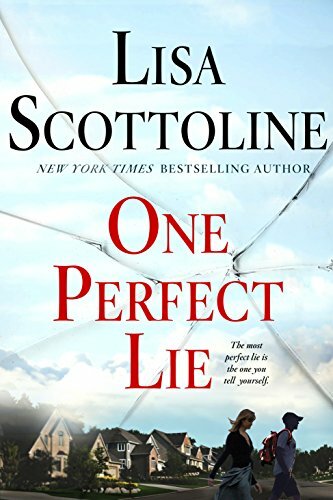 Thank you to St. Martin’s Press for sending me a copy of One Perfect Lie by Lisa Scottoline. I was given this copy in exchange for an honest review. I received no financial compensation for this review. Have you ever had that perfect stranger that shows up unexpectantly, in your hometown. What is his purpose? Why is he here? What is it that we the readers need to know about this person? 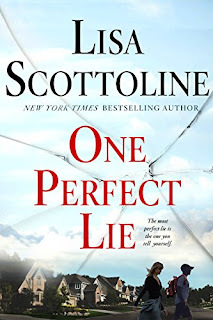 One Perfect Lie is the first book that I have read by Lisa Scottoline. Chris Brennan has moved to the small town of Central Valley Pennyslivania. He is there to take over for a teacher who left to take care of a sick parent. Once he gets the job; he will also be an assistant coach for Varsity baseball. He starts meeting his students especially the baseball players. He pits Raz and Jordan, who are pitchers against one another. For what purpose? Which one could possibly be the terrorist? When we the readers find out that Chris’s purpose is to stop a terrorist attack. Will he be able to make his case in time? The other parents on the team also have their issues and secrets that could influence the case. What are they hiding and how it will it impact the team? I enjoyed this book. My only issue with the story is the high school baseball details. Ms. Scottoline spends a lot of time delving into the game of baseball. I feel that a few of her details were off concerning the game of baseball. Such as Raz and Jordan probably would fight over being the ace of the staff but not over who would start each game. By the time, most players get to high school there is a rotation that includes at least three to four pitchers. I found my interest in the book increasing when I finally found out the purpose of Chris’s position and why he was there. Ms. Scottoline creates interesting characters to staff this best-seller. I would be interested in reading more in the future. Please visit Lisa and purchase a copy of One Perfect Lie here.